This is the very first time ever I actually put my hair up to take outfit pictures for my blog. It felt kind of strange at first as I was debating whether I should leave it down or put it up, but might as well do something different for a change. The weather has been really rubbish recently in Hong Kong so the pics might look a little gloomy, I tried to fix it as much as possible. 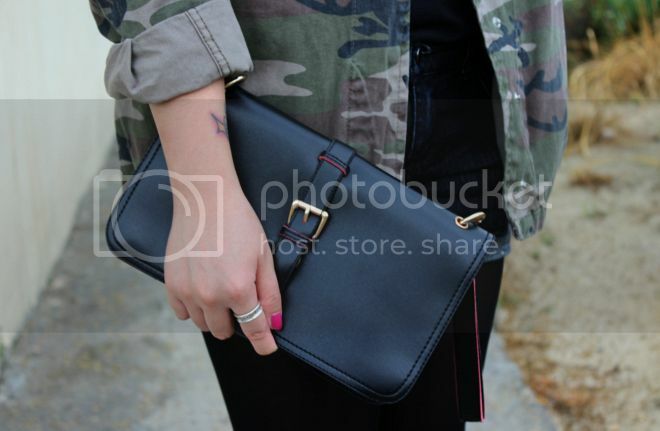 Last week I received cute little clutch from OASAP.com, you can check it out in the link above. When I ordering it I was a little worried I won't be able to fit alot in the bag because I tend to love throwing all my stuff into my bag including the kitchen sink, when it came through the post I was really surprised because it has two separate sections which is exactly what I need. Check it out on the website. Good stuff! I really like the military style in the scrubland there...good effect:) your legs look a mile long in those gorgeous shoes! Wow!! I love your style!! Great jacket! I looked everywhere for one but unfortunately never found the perfect one, love the cropped shorts! 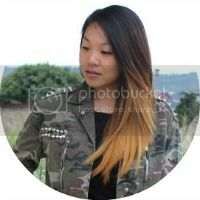 I just put my hair up for a recent blog post and I didn't like it at all! I feel more comfortable when my hair is down and I can play with it. But you look so pretty! I love the outfit as well. 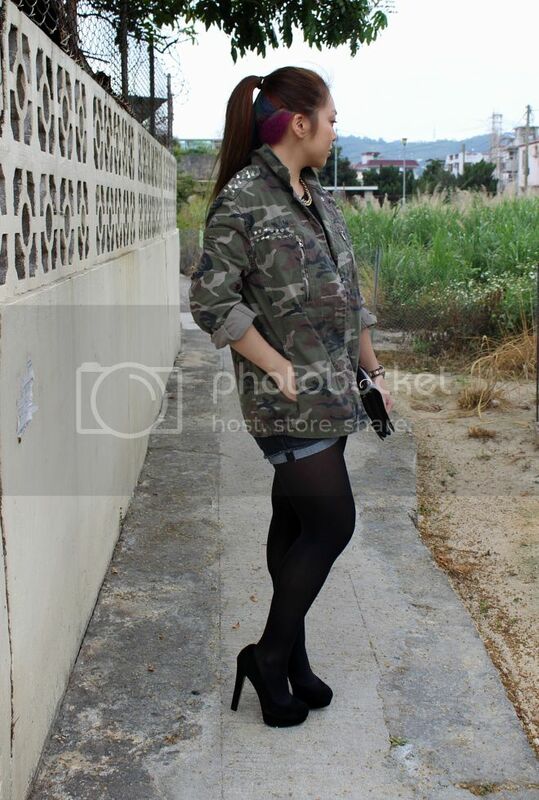 love a bitta camo and undercut! You look beautiful, I love the jacket. 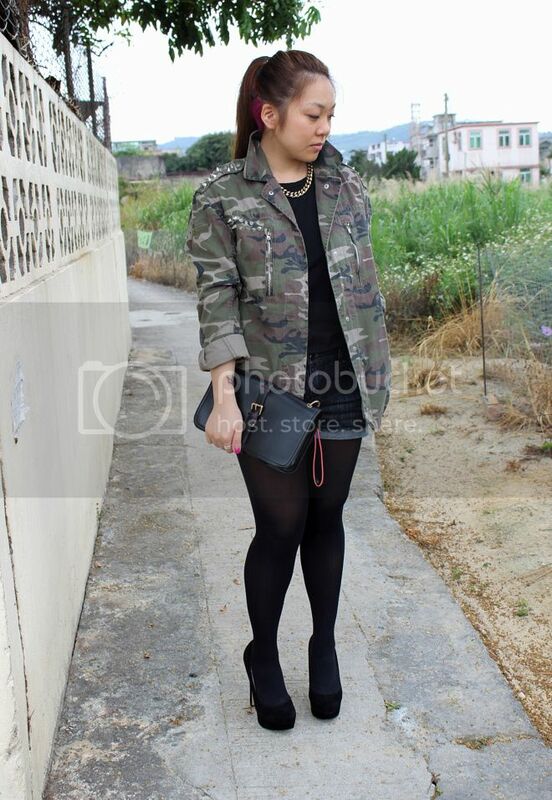 love this military theme that suits u absolutely cool! Your outfit is awesome! I have a very similar jacket and the way you combined it is just perfect! Love your bag and your hairstyle! just discovered your blog, nice blog. We want to follow each other?